The world today is very different from what it was in the day and the same can be said for teenagers today that are barely close to their parents anymore. Gone are the good ol days especially when little sally now has a nice iPad that’s much more fun than the dad jokes from her lame dad. You can try talking to them but that can sometimes be stressful and more often than not doesn’t work. 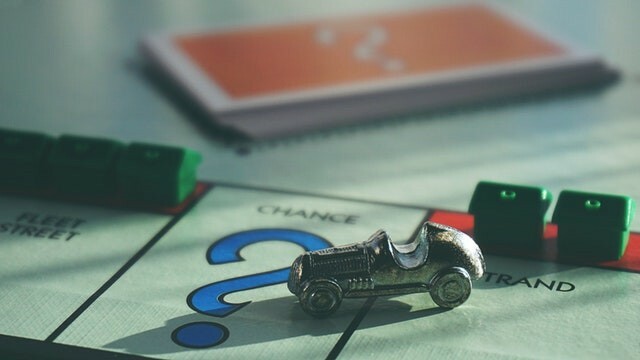 However in my opinion board games are one of the best ways to reconnect with teenagers. Why are board games for a teenager a good idea? Now I know board games for teenagers may sound old-fashioned and cliche but this still works! Board games offer a fun and exciting way for both kids and parents to bond from learning new skills to spending quality time with family, board games come with many advantages. Today board games have evolved into strategic and roleplay simulations that require its players to think logistically and cognitively as well as strategically. Basically, if you want to win a game, you have to think and plan ahead of the opponent and over time this has a positive impact on the mental health of the player. Some board games require players to work together and win only after good coordination, negotiation and decision making this helps the users bond better and helps induce teamwork amongst them. It’s funny how much a simple game can teach you about the other person. Parent’s can learn a lot about their kids through a game and this can also help both kids and parents learn more about their behaviors and traits towards different scenarios. Bottomline board games are a great fun experience for all its users. More importantly, they tend to bring people of all ages from kids to older aged people together. They also teach its users skills that can be very useful in life. So what board games are actually good for teens? When you think about board games for a teenager or older kids there isn’t much that comes to our mind because this isn’t exactly a highly advertised market. Fortunately, there are quite a few board games for teens and older kids they tend to play longer and most at least an hour or more but are guaranteed to result in a great experience for all its users. In this article, I will be talking about the best board games for teens that will help you and your kid get closer in a fun and exciting way. A funny, fast-paced game perfect for playing with people of all ages ranging from teens to grandparents. This makes it a family favorite as it’s got something for all the members of the family. What I particularly like about Quelf is the learning curve is non-existent you simply open the box, pick a character – Queen Spatula, perhaps or super Ninja Monkey and prepare for a wild ride. Beware this game is quite unpredictable as you can sometimes find yourself wearing an impromptu snorkel while battle bees, rapping about tomato soup, singing operatic arias in a made-up language. All in all the game is widely popular among teens and college kids. Taboo is one of my all time favorites and a favorite of many kids. It’s fast paced and a good combination of humor and words making it fun and educational at the same time. Moreover, the new version is revamped with relevant cultural phrases. One of the highlights is the “buzzer” that allows you (or your kid) to keep the other team and trust me kids simply love this. This is another popular choice among teens and 20-something crowds and also many families. It’s basically a gold standard by which they judge all the other board games. Places are given seven nouns – places, faces or pop culture icons and they have to compete to pair them with an adjective card supplied by a highly subjective judge someone who awards points based on entertainment value. On the whole, the game is hilarious, easy-to-learn and quickly draws a crowd. Another hilarious card game inspired by ever-popular Apples to Apples, to learning in the terms of the game place wherein you match the cards for comic effect and the most hilarious combination wins. However where Apples has you coupling nouns and adjectives with Cards against humanity you are offered questions and answers of the most outrageous sort. Unlike the above two card games, Forbidden Island offers you a different sort of fun. With this card game, you need teamwork to rescue the four sacred treasures (Crystal of Fire, Ocean’s Chalice, the Earth Stone, and the Statue of the Wind) hidden on the mystical forbidden island before it sinks beneath the waves. It’s a breathless mad dash of a game and requires teamwork to win the game making it a good game for those looking to connect more with friends and family. When it comes to board games Settlers of Catan is a common name especially among fanatical teen and young adults. Would-be settlers conquer territory on the island of Catan by building settlements, cities, and roads across a variable playing field of 19 hexagonal tiles. This game is so popular game shops hold regular Settlers of Catan nights for teen and adult players as it’s a great board game that keeps users engaged throughout the whole game. In this highly addictive board game for teens and grown-ups, players take on the role of CDC scientists wherein everyone works together, racing to quell plague breakouts before a global pandemic situation. There is a slight learning curve but after a round or two, it’s game on. On the whole, a good board game that has a bit of role play making things interesting for all family members especially teens. This is a board game for teens that dig sci-fi horror think saving the humanity from Martian attacks kind of a game and while wearing a tutu and dancing on a ball. Invasion from outer space is a perfect do-or-die battle against plastic aliens. It’s silly, addictive and overall a great game for collaborative strategizing and scenario shifts. A deceptively simple board game but one that can get teens addicted. It’s perfect for the college crowd and is fine for even just two people although it’s much better with a crowd. The game’s story is from a bunch friends gather around in 1900 to celebrate the anniversary of a fictional character Phileas Fogg’s. It’s an epic race around the world with new challenges involving railroads and a breathless week-long race. Another hilarious card game perfect for teenagers who are more grown-up and specifically lemony Snicket fans. The game is based on the idea wherein players (up to 5) compete to make each other as miserable as possible. Each player has a dubious character and is, on the whole, a family of five. It’s the perfect game for a pair of stressed-out roommates (or quartet of them) There are also expansion packs if you more players want to join in. A zombie board game that breather the zombie apocalypse theme. It has a ton of roleplay wherein each player battles on a bunch of flesh-eating, undead hordes with mind twists, strategic challenges and on the whole should be engaging for teenagers that love zombies. The game of things takes is a better version of the old “loaded questions” game, in fact, it takes it to a whole new level there is simply no comparison. The topic cards are simply hilarious and overall a good board game for teenagers looking to pass time with something fun. This fast-paced tactical game is a combination of strategy, betrayal and a ton of plastic tiki heads. The idea is to maneuver your tikis into a super secret combination to sabotage fellow players efforts who are trying to do the same. On the whole board games are fun and a great way to spend some quality time with friends and family. They are guaranteed to result in a positive learning experience for all its users making it an absolute essential in every home. I hope you found some value in this article do let me know what board you decided to go with and why.